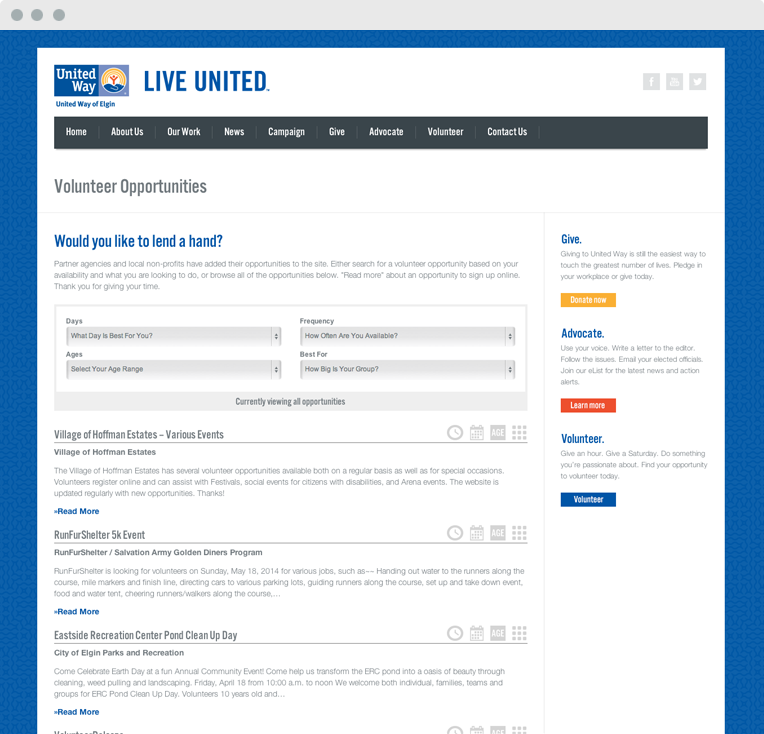 United Way of Elgin is one of our favorite nonprofits—we even run an employee campaign each year and are very proud that most employees give to this important cause. 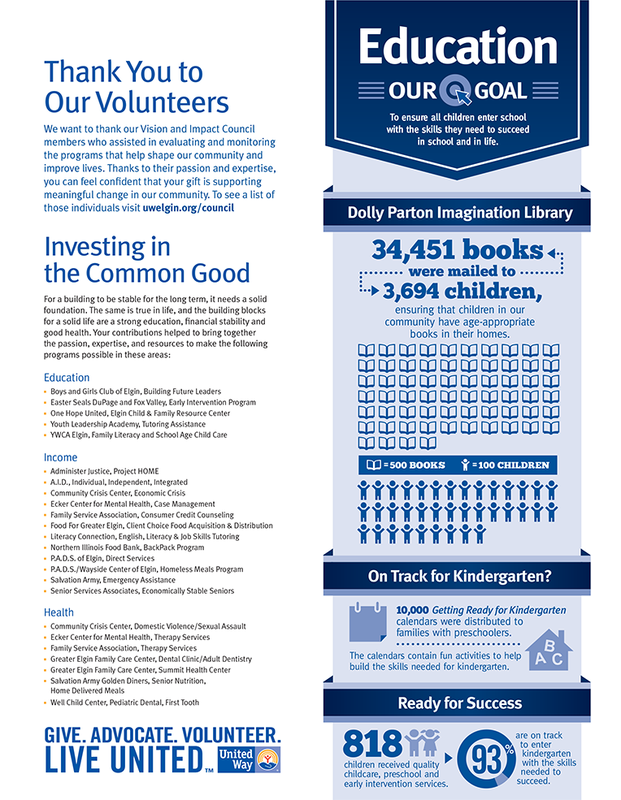 They do a lot of amazing work with a focus on results. So for their campaign materials, they often have a lot of interesting stats. 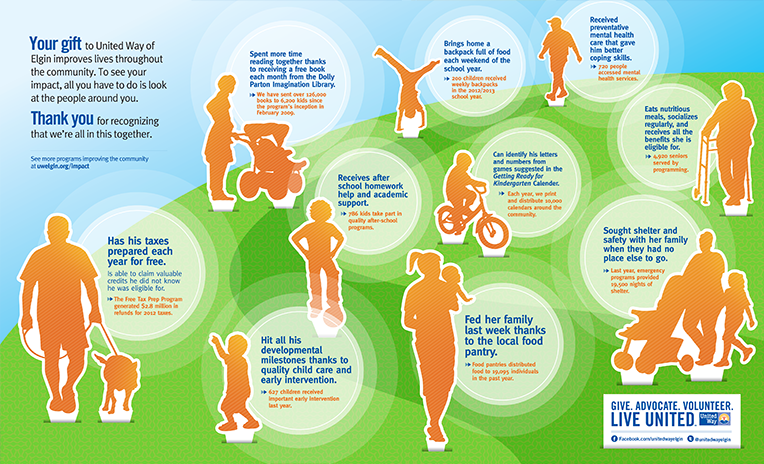 When they said we could create their campaign brochure and annual report however we would please (as long as we followed brand standards), we took an infographic approach to highlight their impressive data. 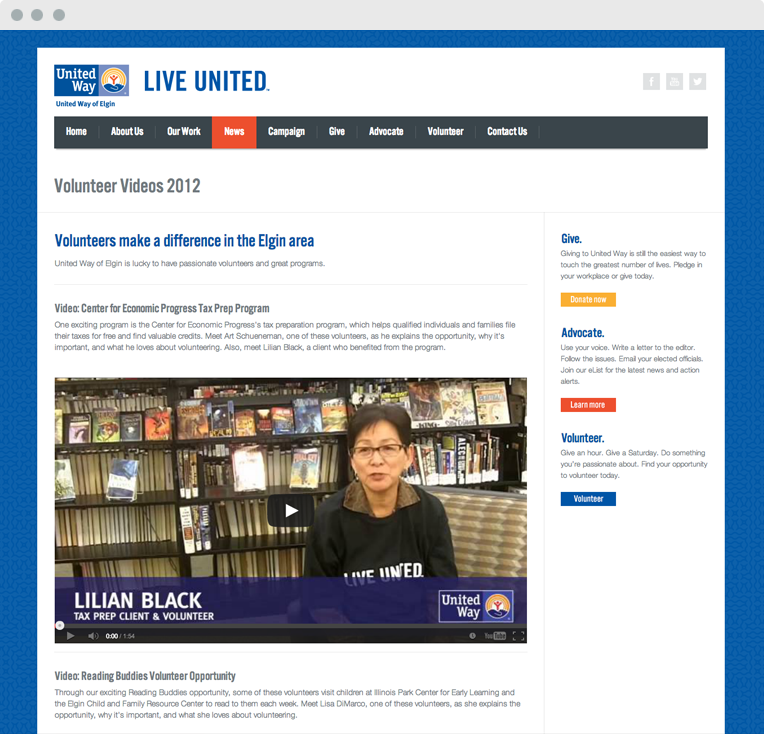 Because United Way of Elgin does so much in the community, we wanted to highlight some special initiatives and present all the information in a clean and simple way. We also provided them with an easy-to-use WordPress based site, which offers them flexibility in updating as much of their site as possible. They can continually update the site with all of their important work and success on their own. 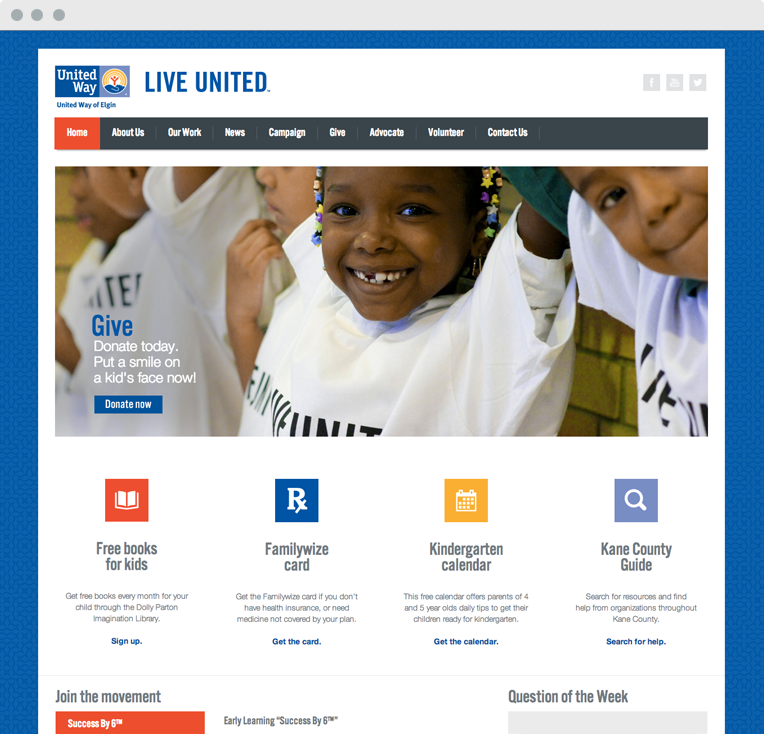 Like all of our work for them, we followed corporate standards but made the site uniquely United Way of Elgin. 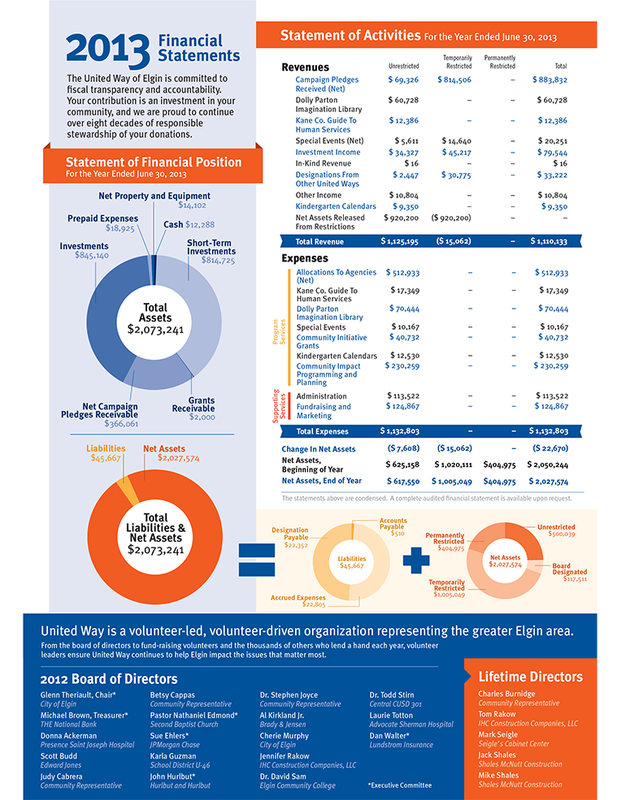 Because United Way of Elgin implements so many changes and supports so many programs in the community, it’s sometimes difficult for people to realize that their donations and support are touching real lives. 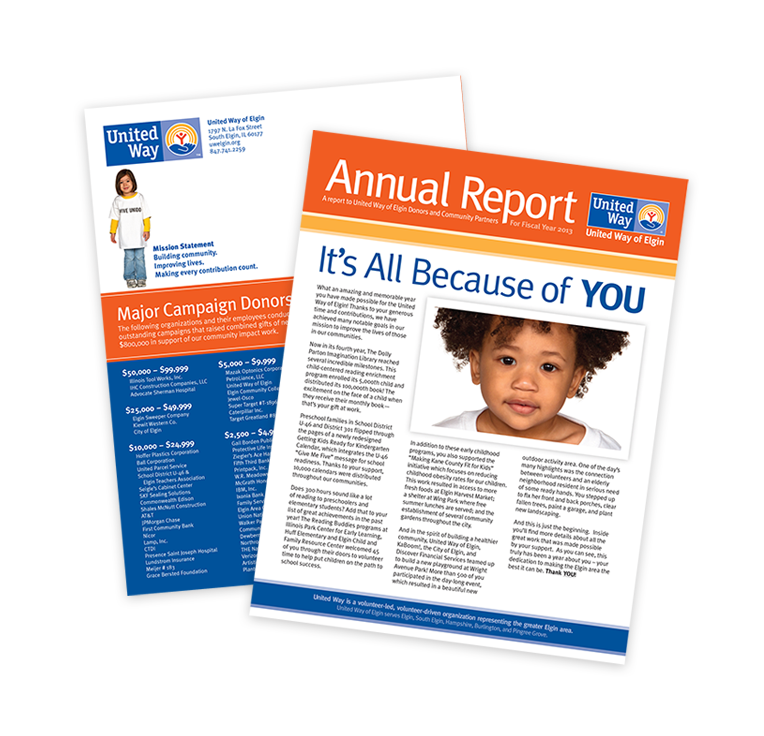 We put together campaign videos that would present a face to represent just one small facet of the story, but that would show an actual life that has been touched by a donor’s support. 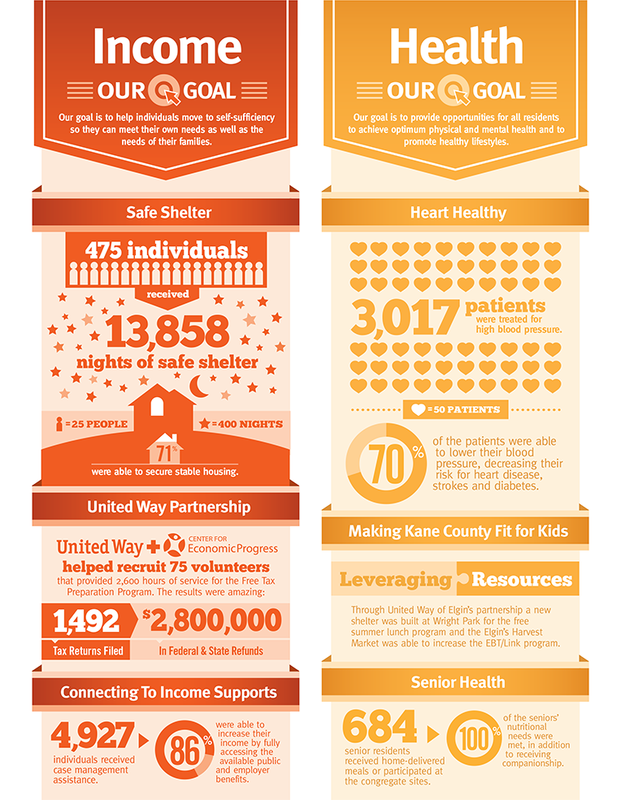 United Way of Elgin is a great local nonprofit that does a lot of good in the area. 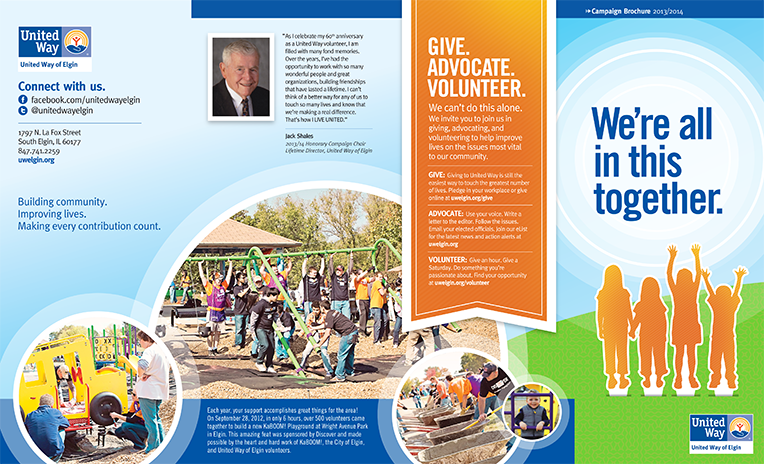 They have given us a lot of creative independence with their marketing materials, so we have had fun highlighting their amazing work within the bounds of the United Way brand standards.